The Arizona DIamondback's Shelby Miller left Wednesday's game with elbow tightness after allowing five runs in the first inning. Shelby Miller has not gotten out of the sixth in any of his four starts heading into tonight's game against the Colorado Rockies. In each start, the Arizona Diamondbacks lost, with Miller allowing three or more earned runs every outing. The 27-year-old righty suffered again on Wednesday, with Miller lasting just one inning, while allowing nine batters to come to the plate. Later, though, reports came out that Miller felt tightness in his right elbow. It was not all doom and gloom for Arizona when the game began, however. Paul Goldschmidt clobbered an 87 MPH change up down the heart of the plate, hitting it into the left field seats. But from that point forward, the Rockies controlled the outcome of the game. Colorado regained the lead four batters in the bottom half of the first inning after Carlos Gonzalez grounded into a force out. 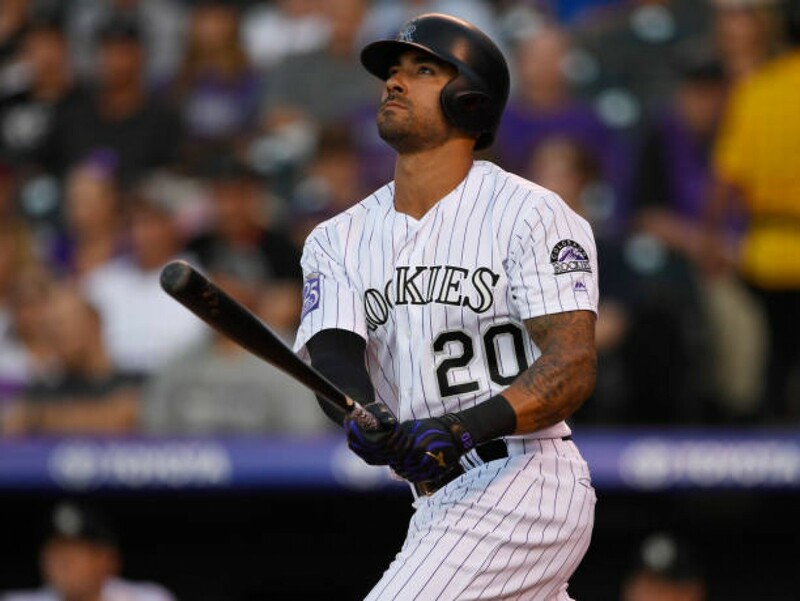 Ian Desmond then took Miller deep, giving the Rockies a four run advantage. The Rockies plated four more times in the next inning, as Jorge De La Rosa faired no better than Miller. Colorado's first three batters reached base via a single and two walks. De La Rosa managed to get Gonzalez to hit into his second force out of the night, but DJ LeMahieu scored to increase the Rockies' lead to six. Desmond added to his first inning bomb when he drove in two more during his second at bat. The Rockies' left fielder five runs batted in during the first two innings. Charlie Blackmon hit a two-run shot to center field to make it 11-1 Colorado. Then, Gonzalez finally got a pitch to drive in the air and made the most of it, blasting a solo shot in the third. After the usually reliable Yoshihisa Hirano gave up a triple, a single to German Marquez, a ground-rule double, and another single, things got weird. Daniel Descalso took the bump. The third baseman's performance on the mound did not go well, but who could blame him? Descalso gave up a single to Nolan Arenado, then a home run to Gonzalez, his second of the game, which made it 18-1. Marquez even got into the action in the fifth when he slapped a home run into the left center field bleachers. "I happened to make really good contact on that pitch and the ball left the yard," Marquez told media after. "I'd be lying if I sometimes (don't think) I've got to go yard at some point. I'm glad it happened tonight." These two will close out their series tomorrow afternoon, with first pitch slated for 3:10 PM EST.